On Tuesday, the government launched the FFO of Bharat22 Exchange Traded Fund (ETF), comprising shares of 22 companies. The issue received subscriptions from investors such as mutual funds houses, foreign portfolio investors (FPI), insurance and retirement funds. The second innings of Bharat22 ETF, Narendra Modi government's key divestment initiative, started on a strong note on the first day of the further fund offer with anchor investors putting in bids 3.44 times of their allocated portion to the tune of Rs 5,163 crore. The Modi government is eyeing to raise up to Rs 8,400 crore via this ETF issue to attain the ambitious target of raising Rs 72,500 crore through disinvestment in the current fiscal. On Tuesday, the government launched the FFO of Bharat22 Exchange Traded Fund (ETF), comprising shares of 22 companies. The issue received subscriptions from investors such as mutual funds houses, foreign portfolio investors (FPI), insurance and retirement funds. The FFO opens for retail and other institutional investors today and will close on June 22. ICICI Prudential Asset Management Company is managing the launch of Bharat 22 ETF FFO which is being offered at 2.5% discount to all the investor categories. 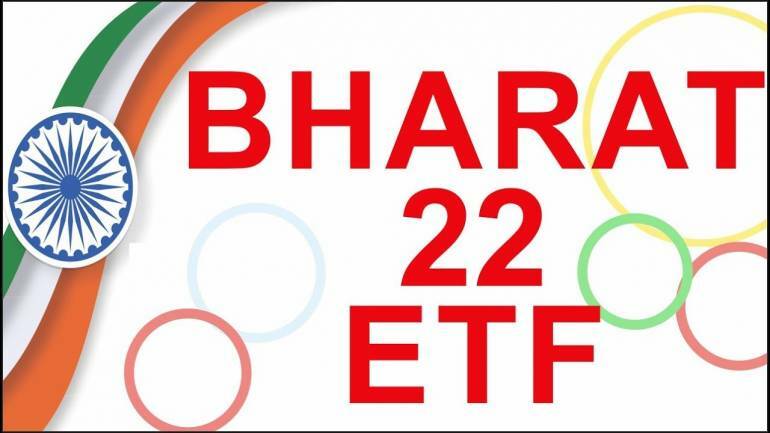 Secretary in the Department of Investment and Public Asset Management Atanu Chakraborty said, "The Bharat22 FFO is another opportunity for the investors to participate in the India growth story as represented by the industry leading stocks of the ETF." As much as 25 per cent of total issue size, or Rs 1,500 crore, was reserved for anchor investors who put in bids worth about Rs 5,163 crore, ICICI Prudential AMC said. "They are happy to see the continued support received from anchor investors towards the FFO...Now, they look forward to active participation from nonanchor investor category, over the next three days, whereby one has the opportunity to own some of the jewels of Corporate India at a discounted price," ICICI Prudential AMC MD and CEO Nimesh Shah said. The ETF comprises leading companies from the private sector having an exposure of 39 per cent to the fund while the rest are public sector firms. The stateowned companies or PSUs that are part of the new Bharat ETF22 include ONGC, IOC, SBI, BPCL, Coal India and Nalco. The other central public sector enterprises on the list are Bharat Electronics, Engineers India, NBCC, NTPC, NHPC, SJVNL, GAIL, PGCIL and NLC India. Only three public sector banks Indian Bank and Bank of Baroda- figure in the Bharat-22 index. The fund consists of stocks from six sectors such as capital goods, finance, oil & gas, power, FMCG and metal, metal products and mining. In November last year, the government launched the Bharat 22 ETF Bharat 22 which received subscriptions worth Rs 31,817 crore of which the government decided to retain Rs 14,500 crore and return the rest to subscribers. A discount of 3 per cent was offered to all categories of investors. The fund comprising 22 firms was listed on the bourses with over 3 percent gains on November 28, 2017. The ETF saw huge interest from anchor investors with portion reserved for them getting subscribed six times to the tune of Rs 12,000 crore on the opening day. The government has set an ambitious target ofraising Rs 72,500 crore for disinvestment in the current fiscal. Of this, Rs 46,500 crore is to be raised through minority stake sale in PSU and Rs 15,000 crore from strategic sale. Another Rs 11,000 crore is to come from listing of insurance companies. Prior to the launch of Bharat22 ETF, which has a diversified portfolio, the government had floated the CPSE ETF comprising stocks of 10 bluechip PSUs - ONGC, Coal India, IOC, GAIL (India), Oil India, PFC, Bharat Electronics, REC, Engineers India and Container Corporation of India.